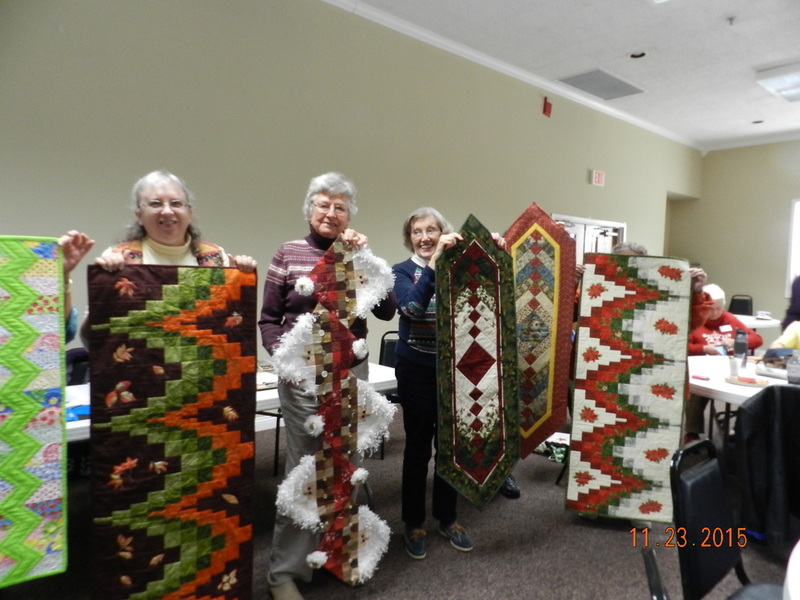 Our Holiday Potluck was enhanced by a wide array of great table runners. 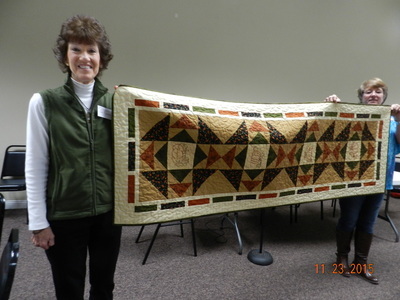 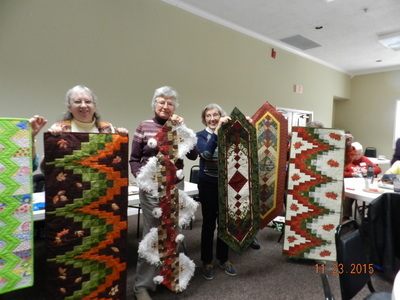 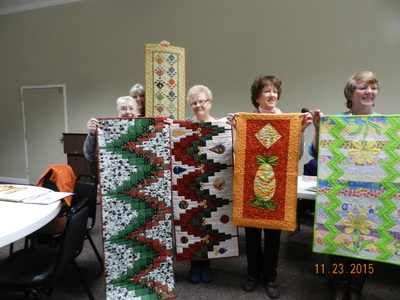 The lucky winner of the Cozy Quilter's Gift Certificate was Loyce M. for her Fall pieced and embroidered runner. Congratulations, Loyce!